This will prevent Goshen PL Childrens from sending you messages, friend request or from viewing your profile. They will not be notified. Comments on discussion boards from them will be hidden by default. 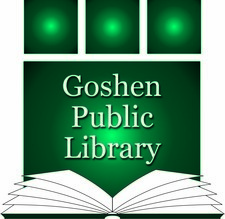 Sign in to Goodreads to learn more about Goshen PL Childrens. Claudia and Jamie runaway from home and live in the Met. I loved this book as a kid and still do as an adult. It seems dated because it is from the 60s but the adventure of living in the museum is any kid's dream come true. At least this kid's dream come true. Wow! Who doesn't dream of living in a museum, surrounded by all that history and mystery. Claudia and Jamie are living the dream. You have to admire Claudia's planning skills and Jamie's resourcefulness, I know I wouldn't have went undetected half as long as they did. I especially enjoyed Claudia's dedication to her cause. She had a goal and she knew how to achieve it. Some readers may have a problem with the dated nature of the book, but to be honest I think it holds up really well. Konigsburg did a remarkable job of limiting the inclusion of anything that would really date the book. Sure the amount of money Claudia and Jamie actually survive on doesn't really apply to today, but that along with any other discrepancies are easily overlooked and worked around. Additionally, in the afterword included in the 35th anniversary of this book Konigsburg addresses all the changes that have happened in regards to the money and security at the museum. I recommend this book to anyone who loves adventure, museums, and precocious children. ...more "
We’d love your help. Let us know what’s wrong with this preview of Bear Counts by Karma Wilson. We’d love your help. Let us know what’s wrong with this preview of The Night Knights by Gideon Sterer. We’d love your help. Let us know what’s wrong with this preview of The Knight and the Dragon by Tomie dePaola. Goshen PL Childrens has read 137 of 250 books. Goshen PL Childrens read 335 books of their goal of 300! Goshen PL Childrens read 514 books of their goal of 500! Goshen PL Childrens read 67 books of their goal of 66! Take a look at Goshen PL Childrens’s Year in Books. The good, the bad, the long, the short—it’s all here.